With dozens of residents gathered at a homeowners’ board meeting in Rancho Mission Viejo on Tuesday night, April 9, most had one issue in mind: a series of new cell towers going up around the town. The placement of these new towers from the wireless telecommunications giant Verizon has sparked not only concerns on potential health risks but also a conversation on representation and transparency in a city that’s fairly in its infancy. Verizon currently has approval from the county of Orange to install three cell towers throughout the Ranch community. The first of the towers, located near the Esencia Farm parking lot, was recently put up. Another tower, currently under construction and expected to be completed by the third quarter of the year, will sit along Chiquita Canyon Drive, just north of Airoso Street. The placement of these towers have not sat well with a few hundred or so residents in RMV. A coalition against the towers quickly formed, which created the website RMVCellTowers.com to voice displeasure over the towers and circulate a petition to relocate them. According to the group, the cell towers are part of Verizon’s new 5G technology. It has also distributed maps showing the proposed and planned placement of seven of the towers. 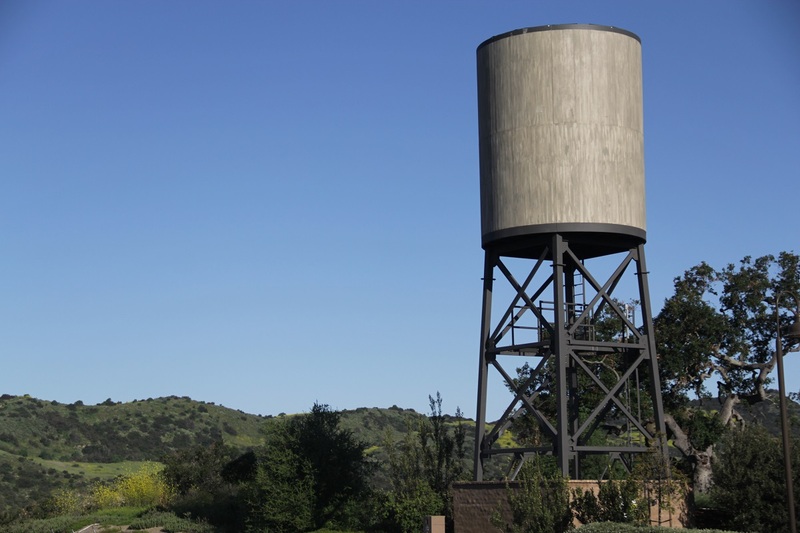 Both Verizon and the Ranch dispute those points of information that have been shared, noting that the company only has approval for three towers, which aren’t 5G-operable. “There were seven potential sites identified during the initial site selection process. That does not ensure that seven cell phone towers will ultimately be installed in the community,” Mike Balsamo, senior vice president of governmental relations for the Ranch, said in an email. Verizon Public Information Officer Heidi Flato reiterated Balsamo, stating that the company got zoning approval from the county to install the towers back in 2016. It’s not so much that towers are being installed that has ignited outrage but rather where they’re being placed. The first tower, according to the group, sits less than 600 feet away from the Montessori Academy on The Ranch and about 150 feet away from the nearest homes. “We’re not anti-cell towers…we just want them to be at a safe distance,” Schaefer told the homeowners board, or RMV Master Maintenance Corporation (MMC), during the board of directors’ April 9 meeting. Shortly following Shaefer’s testimony, a Ranch official asked The Capistrano Dispatch to leave the meeting because it was only open to RMV residents. With plenty of open space throughout the Ranch, Schaefer questions the need for putting a tower in the middle of a neighborhood. “We just think (Verizon) can accomplish (its goal by) putting the towers a few hundred meters back from where they’re talking about,” he said to The Dispatch. The coalition has been pointing to studies showing the potential health risks associated with living near cell towers such as developing cancer from being exposed to the transmission of radiofrequency signals. In a nine-page letter to Ranch leadership and several local and state government officials, the coalition cited a study commissioned by the German Federal Office for Radiation Protection that that examined whether individuals living in close proximity to a cell tower were at a greater risk of cancer. The study’s results found that “the proportion of newly developing cancer cases was significantly higher among” patients who had lived at a distance of up to 400 meters from a cell tower. Schaefer, whose wife, Debby Schaefer, has helped lead the coalition, said the uncertainty on whether or not cell towers actually pose a threat should be reason enough not to place them near houses and schools. Flato said Verizon and the Ranch worked closely to determine the sites for the towers as well as ensure the design of the facilities blended with the community’s aesthetics. For Schaefer, the issue raises deeper questions on how residents in Rancho Mission Viejo—an unincorporated territory of the county—are represented. And one of the group’s main points of contention on the issue is a lack of transparency, as residents weren’t given an opportunity to chime in. “I feel like, being in an unincorporated part of the county is kind of a disadvantage, I’m learning, because you don’t have a city council to start with, for example, and it’s not clear who can really advocate for you,” Schaefer said. “There wasn’t a lot of true notice about it; there was some generic disclosure in the home buying documents about the potential cell towers, but it was so vague that it really constituted ‘no notice,’” he also said. Because Rancho Mission Viejo is unincorporated territory, it doesn’t have a mayor or city council with elected officials like any other city does. The Orange County Board of Supervisors oversees all unincorporated territories in the county, with the board chairperson—currently Board Chairperson Lisa Bartlett of the fifth district—essentially functioning as mayor. During a previous interview on the very subject of government representation for RMV, Balsamo noted that residents can turn to Rancho MMC for any concerns. Balsamo also noted that Chairperson Bartlett is very visible in the community as she participates in various activities that occur. Schaefer said Bartlett’s chief of staff has reached out to the group and scheduled a meeting with the chairperson that’s set for this June. Balsamo said Ranch leadership is looking to schedule a date to have a “collaborative meeting” with the coalition and Verizon to discuss the issue. Despite the issues and concerns that the towers have brought about, Schaeffer is maintaining a positive headspace, as he said he hopes all parties can come to an amicable resolution.